After-School Care runs until 6pm. We charge £8.00 per day and we request that payment is made in advance, either weekly, monthly or termly. The children are collected from class and accompanied to the Main School Hall or Community Room, the register is then taken. 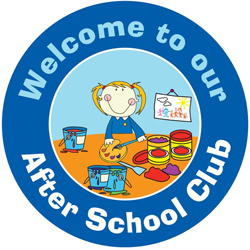 During the club the children will be offered a healthy snack which we encourage them to organise for themselves for example, making a sandwich, cutting vegetables or pasta. The children will then be involved in activities. The children can be supported to complete their homework during this time, if this is something you would like, please speak to a member of staff. When the children are collected we ask that you sign them out of the club. If someone new is collecting we will ask for a password and will not release if this has not been shared. We politely remind parents that the club closes at 6pm ~ any late collection will incur a cost. From September we will be looking to get a mobile number for Extended Schools – we will post this as soon as possible. In the meantime if you would like to speak to anyone please phone the main school on 01622 250880 or email on contactus@langleyparkprimaryacademy.org.uk.